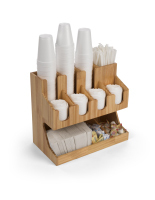 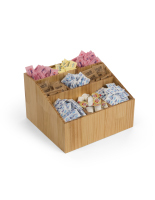 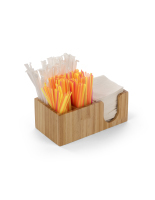 This coffee caddy condiment station is well-suited to use in commercial settings, breakrooms, and home kitchens. 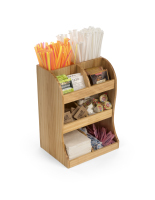 Featuring eleven multi-sized pockets, this versatile restaurant organizer can display a variety of café essentials together such as cup and lid sets, napkins, sugar packets, and much more. 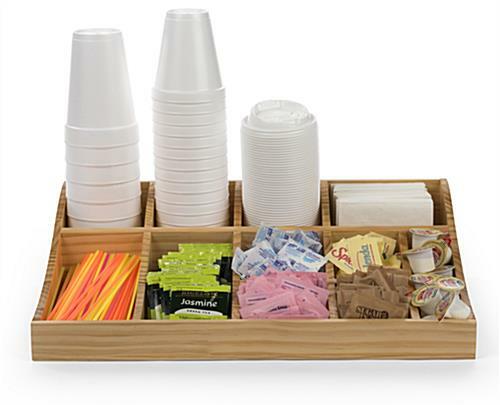 Use this countertop coffee caddy condiment station to neatly organize all your single-serve offerings and clear up clutter in your beverage area. 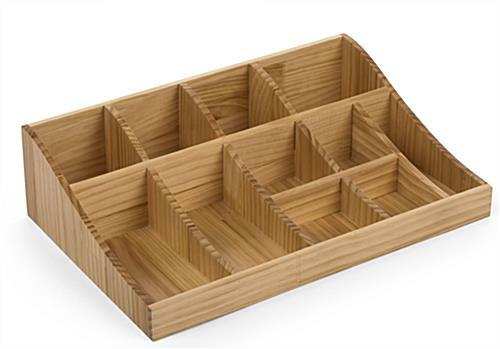 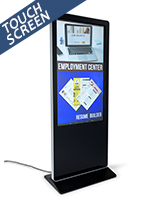 The natural pine wood finish lends a more comfortable feel than steel or acrylic commercial models. 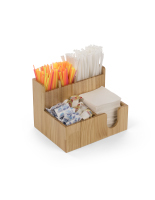 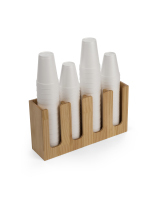 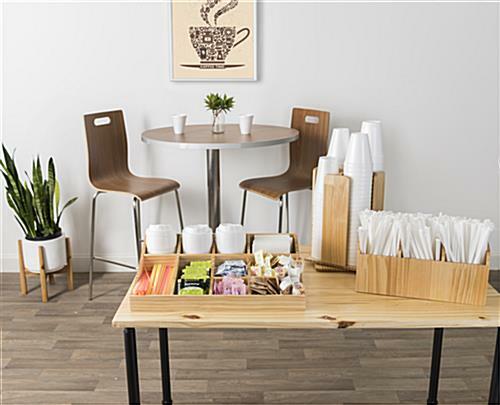 A sloping design allows all your café accessories to be easily seen and accessed by guests, even when supplies are low. 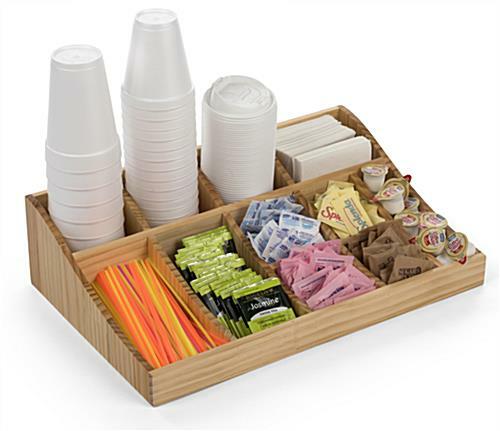 This coffee caddy station creates an all-in-one space for all your beverage area needs. 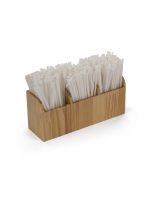 19.3" x 5.1" x 12.5"
3.9" x 4.8" x 3.9"
5.6" x 4.8" x 3.9"
2.0" x 7.5" x 3.3"